SMU Library cards are valid for the duration of a student’s studying and/or the employment of faculty and staff at the university. People must use a valid SMU library card for checking out items from the library. Borrowers are responsible for keeping the items in good condition and returning on time. How to see the due date? If you find the book from the international maritime research library in 7th floor, you have to checkout and return it in the same floor. Books can be only renewed once before the due date. How to renew a book? If some charges or overdue items occurring, the renewing operation will not be achieved. Step 1. Search the online catalogue, find call number and location of the book you want. Make sure it has the status available. Step 2. Check out the items at circulation desk with your library card. Books (except books from the document delivery service) will be returned to the circulation desk, and if the library is closed, just returning to the Book Drop Bin. You should point out noticeable damage of the book before checking out and return the book in time. 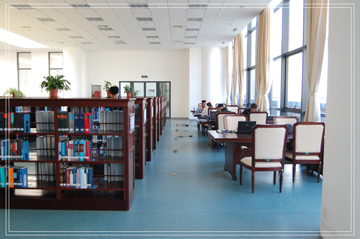 If your borrowed book is overdue, you have to pay fees which are 0.1 yuan per day starting from the deadline. If you damaged the borrowed book, you have to pay the charges for repairing. And if you lost the borrowed book, you have to buy a new one for replacing or pay 5-10 times money of the book price.